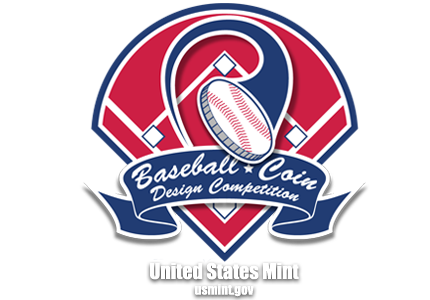 Celebrating 75th Anniversary | Baseball Coin Design Competition: Batter up! Pitch your coin design today. 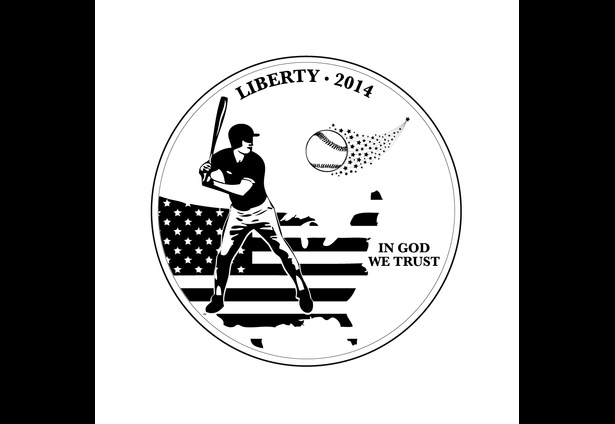 This coin features a player about to start the celebrations for the 75th Anniversary of the National Hall of Fame Museum with his hit. The flag in the background reminds us that after all these years baseball is still America's favorite pastime. good work esp. the player and U.S., baseball is a little large proportionally, maybe close and coming off the bat? But I love the symbolism.